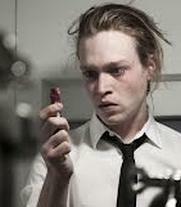 Caleb Landry Jones. Sarah Gadon. Douglas Smith. Horror. Recommended. Science Fiction. Thriller. Medical. Syd March is an employee at a clinic that sells injections of live viruses harvested from sick celebrities to obsessed fans. Biological communion - for a price. Syd also supplies illegal samples of these viruses to piracy groups, smuggling them from the clinic in his own body. When he becomes infected with the disease that kills super sensation Hannah Geist, Syd becomes a target for collectors and rabid fans. He must unravel the mystery surrounding her death before he suffers the same fate. Very much a chip off the old block, Cronenberg Junior has made a confident foray into movies. An assured and effective debut feature.